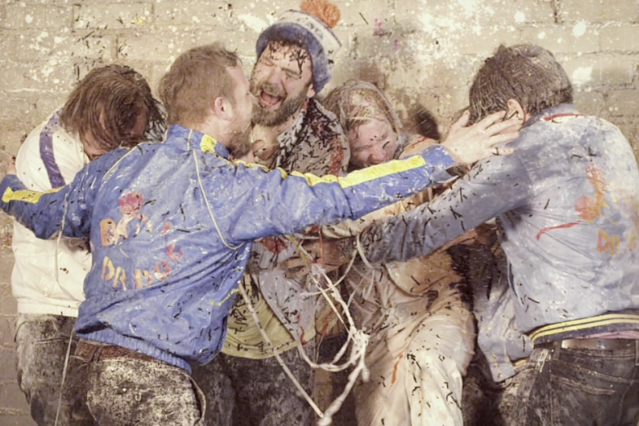 Veteran Philly-area road warriors Dr. Dog have built a successful career on their ability to imbue rootsy rhythms and heavily Band-influenced song structures with a fresh, uplifting feel. So it comes as a bit of a surprise that the video for their new single “Lonesome,” from Be the Void, has such a darkly quirky vibe. In it, bassist-singer Toby Leaman kidnaps his bandmates and subjects them to a variety of filthy, juvenile tortures. (A water gun figures prominently.) All of this is set to charmingly ambling acoustic slide guitar and a bright, folky melody. You can see Dr. Dog in more traditional settings this spring and summer when they hit the Hangout, Lollapalooza, and Outside Lands festivals.